I adore tortellini. Because pasta + cheese = you can’t go wrong. The boys have taken a liking to it as well, so it’s an easy (and fast!) and filling dinner for our family! 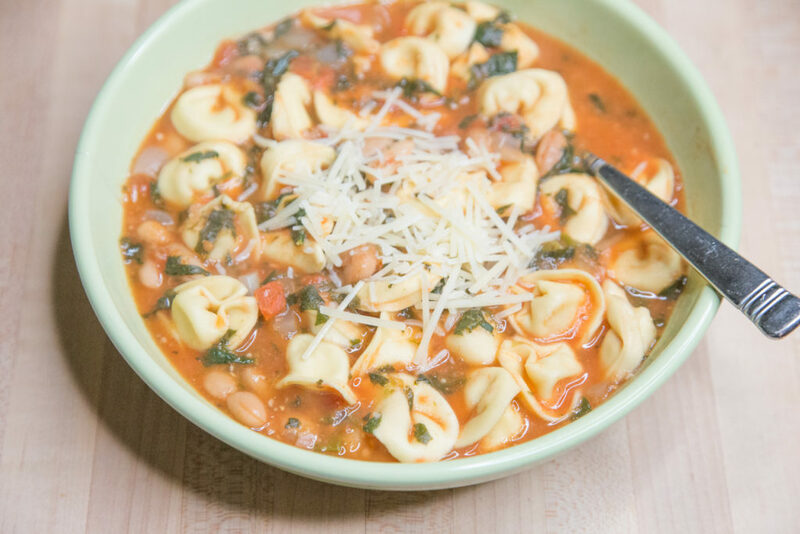 This is just the recipe you need to help you survive the cold, chilly months! This recipe is vegetarian, and is so hearty, filling and delicious! This recipe is featured on Meal Plan Monday #148.